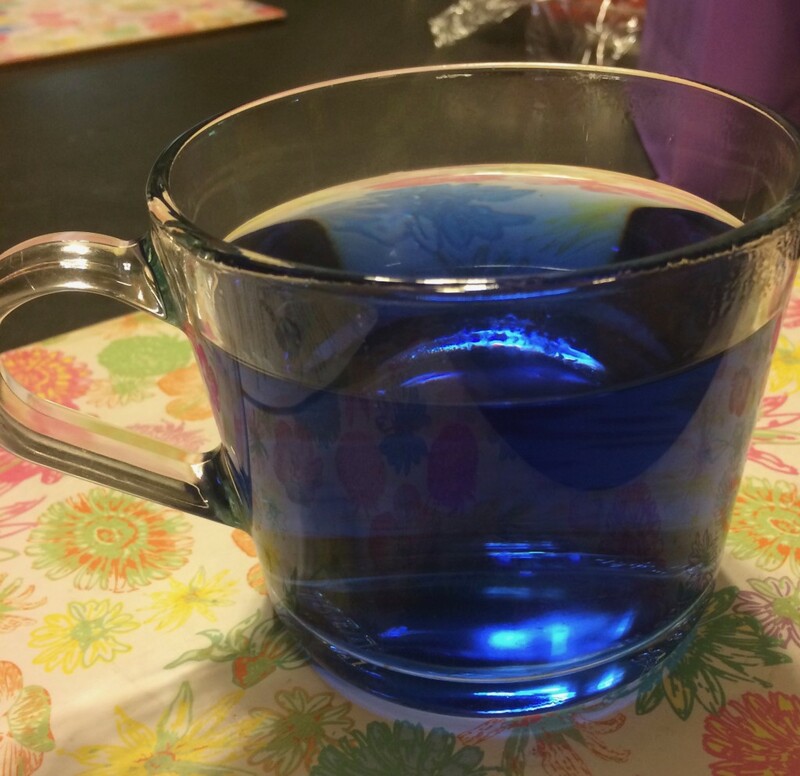 Introducing the magical Butterfly Pea Blue Tea. Put a scoop of this tea into a teapot or cup and when you pour in the hot water, it transforms into an electric blue color. It is sure to bring a smile to your face. You’ll like the tea before you even taste it! Now for the Butterfly Pea Blue Tea’s next trick. Add a bit of lemon or lime and right before your eyes, you have purple tea. Amazing! When lemon juice is added, it taste’s like a nice hot lemon drink. The Butterfly Pea Blue Tea, on its own, has little flavor, but knowing all the health benefits and the idea of slurping up an electric blue beverage is enough for you to want to drink the whole cup. It sure is magic tea! The Butterfly Pea plant’s botanical name is Clitoria ternatea. It is a part of the pea family that is known as Fabaceae. It is a native plant to South Asia. 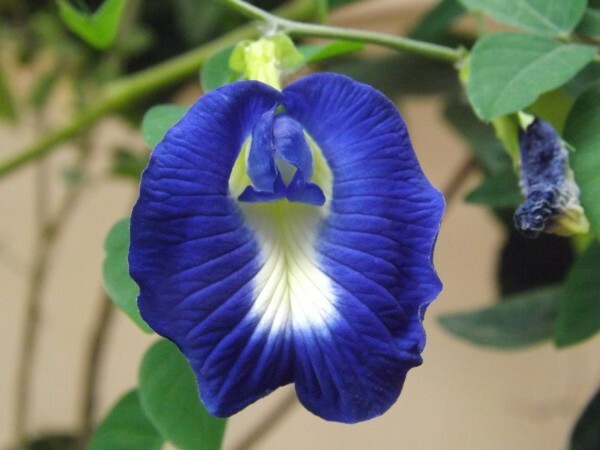 Known in Malaysia as Bunga Telang or Blue Pea, other common names are Asian Pigeonwings, Blue Bell Vine, and Darwin Pea. Its flowers are singular, deep blue with a dash of yellow on the petals. Flowers are 4 cm by 3 cm and pods are 5-7 cm. There are some varieties that have white flowers. The flowers and pods are edible. It is a hardy plant that likes to trail around a fence post and then surprise you when it blooms. 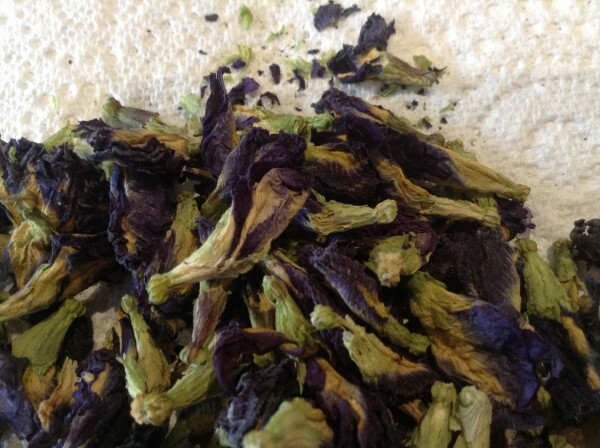 To make Butterfly Pea Blue Tea, use 5 to 10 dried flowers to a cup or teapot and add boiling water. You can also make the tea in cold, tepid, or hot water. Allow the flower to disperse its color into the teapot or cup. 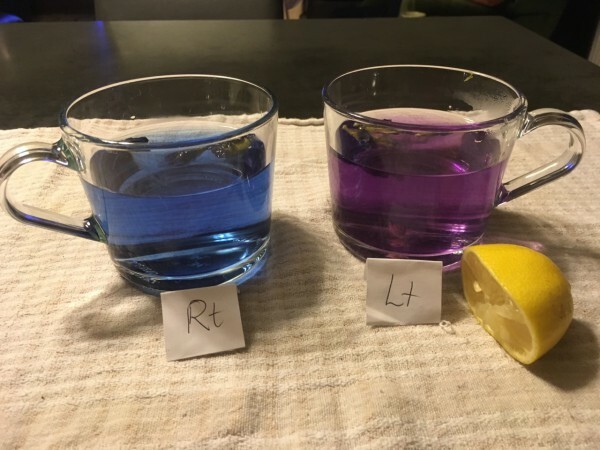 Make your own favorite flavor and remember lemon or lime juice turns the tea purple. You can also add the flowers with lemongrass, ginger turmeric, and green tea. I like to add a couple of flowers to my Chamomile tea. I enjoy watching the yellow Chamomile tea and the blue flowers turn the tea to an aqua green color. Honey or rice sugar can be added for a sweeter taste. Be creative, as there are many ways to enjoy this herbal tea! For hundreds of years, the Butterfly Pea Blue plant has been used in cooking, dyeing cloths, and making cosmetics. There are many recipes, including one dish originating in Malaysia called Nasi Kerabu. The rice is colored blue with the flower and eaten with fried chicken, fish, salads, pickles, or crackers. 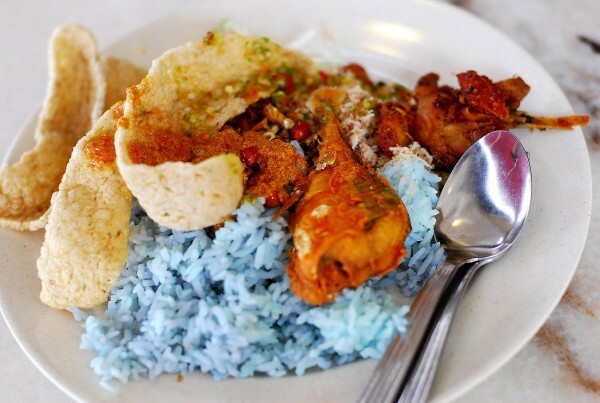 The blue rice can also be added to the dish Nasi Ulam. Nasi Ulam is made of steamed rice mixed with different types of vegetables and herbs, usually with the Pegagan plant (Centella asiatica) or with lemon basil (Ocimum americanum). It is a side dish and a part of Malaysian cuisine. The Butterfly Pea Blue flower can also be used in desserts, such as the traditional Malaysian dish called Kuih or Kueh. Kuih is a name for sweets made out of rice. 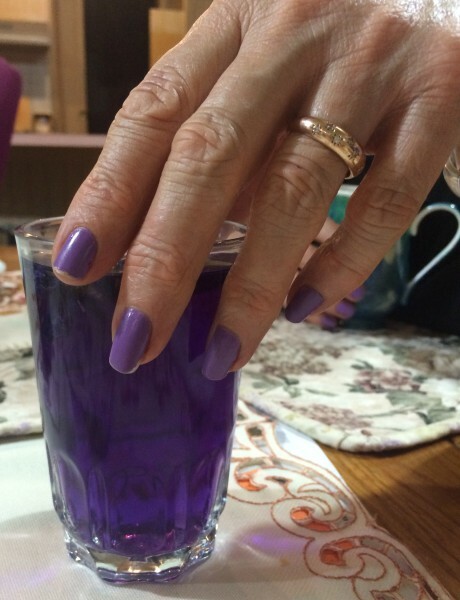 Butterfly Pea Blue Tea (Image: Trisha Haddock). My experience of adding the Butterfly Pea Blue Tea to my diet is a positive one. I feel livelier and wake up easier in the mornings. I had difficulty focusing on writing and on messages on my iPhone due to too much computer usage. However, when I started drinking the Butterfly Pea Blue Tea regularly, my problem disappeared. I’ve also experienced great improvement in my eyesight in a relatively small amount of time. Everyone is different and although Butterfly Pea Blue Tea gave us great results, it is not a quick fix and may not work for everyone. I hope everyone enjoys using the Butterfly Pea Blue Tea for its health benefits and blue color that seems to brighten up the day. Also, don’t forget to share with your family and friends it’s entertaining, magical transformation to a brilliant purple! You can find Butterfly Pea Blue Tea at your local tea shop or online. The writer of this story is not a medical professional, and the information for this article has been collected from reliable sources — every precaution has been taken to ensure it’s accuracy. The information provided is for general information purposes only, and should not be substituted for professional health care. The post Magical Blue Tea! appeared first on Vision Times.